The most common use of transformers in furnace and air conditioner equipment is to step down the voltage to 24 VAC for the control circuit. Transformers have 3 ratings. Primary voltage which is the line voltage applied to the transformer primary winding, secondary voltage which is the 24 VAC control voltage induced in the secondary winding and the VA rating. 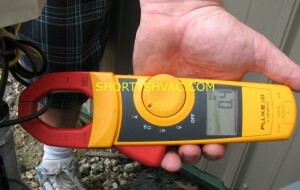 The VA rating is the amount of power the transformer can supply without burning up the windings. VA stands for Volts X Amps which is the same formula for wattage. Many transformers are rated at 40 VA which means they are capable of sustain a load condition up to 1.6 A on the 24 V side. Transformers have no moving parts. The only failure you should see with a transformer is caused by an overload condition such as a shorted wire or shorted control on the 24 VAC circuit causing an excessive amp draw. Sometimes a voltage spike such as a lightning strike will damage a transformer but it usually causes other damage. Common failures are a bare spot on the wire caused by rubbing where it passes through an equipment sidewall, rodent damage in a crawl space or wall and wiring getting cut while trimming grass around the outdoor unit. 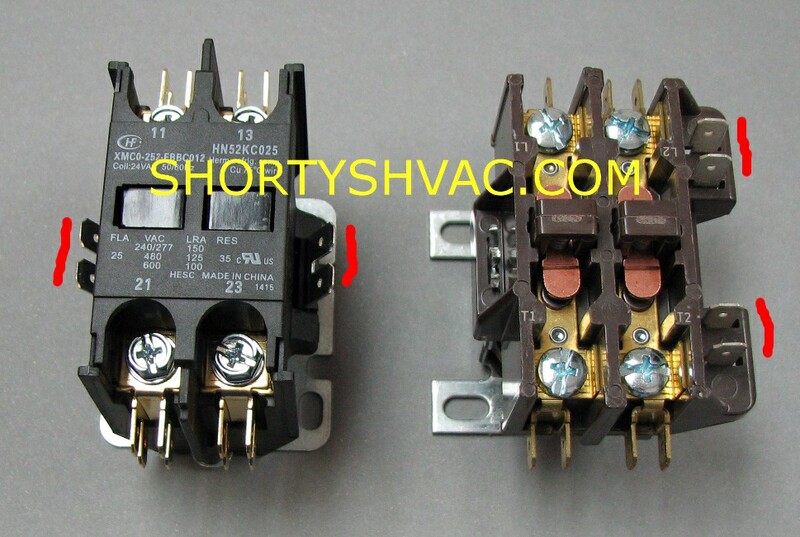 In the picture below you can see 2 different types of wiring for a transformer and how it is marked. 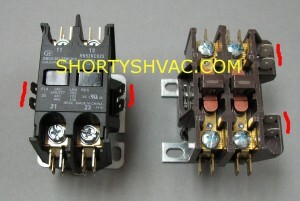 The transformer on the right shows the 208 or 230 V connections on one side. The other side is marked load. The tag is marked PRI 208/230V SEC 24V 40VA. 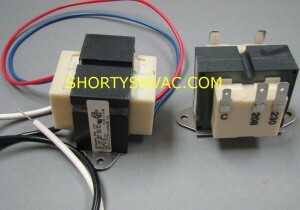 The transformer on the left has the connections marked on the tag. The tag reads PRI 120V BLK-WHT SEC 24V RED-BLUE 40VA. 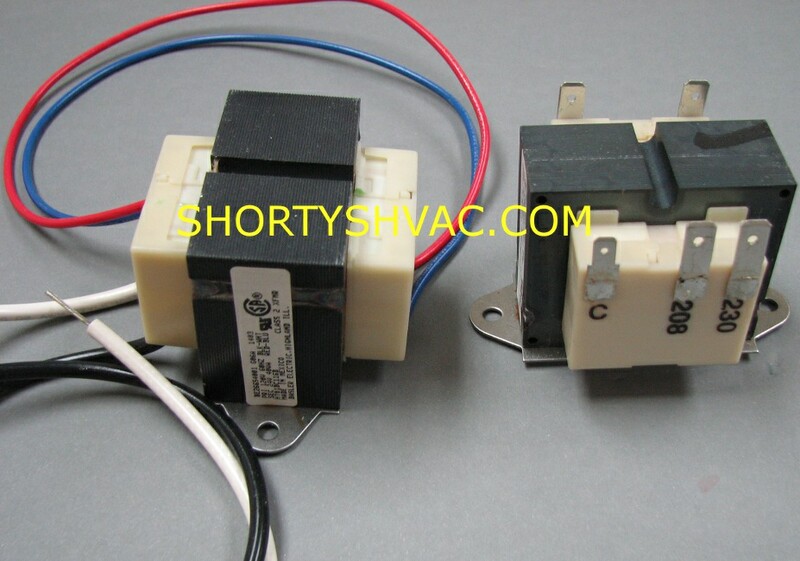 This designation means the primary is rated for 120VAC and connects using the black and white wire. The secondary is 24 VAC and connects using the red and blue wire.